Small Group Guided Rail Tours - McKinlay Kidd | Book Now for 2019! These new small group tours weave the best of Scotland's history and vistas into grand journeys by rail and sea – with optional whisky too! 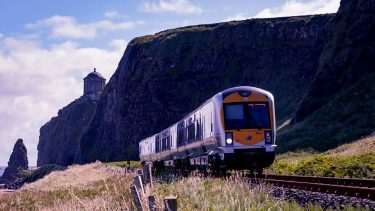 With nearly 20 years’ experience taking care of travellers heading off on their own to enjoy the pleasures of our award-winning train holidays and Scottish island hops, we have now pulled together some of their finest elements to create a brand new collection of guided small group trips. So if you wish, you can sit back and gather wonderful Caledonian memories carried effortlessly along in the company of a small group of like-minded travellers, escorted by a highly knowledgeable and engaging tour leader. For these new guided small group tours, we have focused on iconic elements of Scotland in terms of both breath-taking landscapes and a rich history often played out in incredible settings – remote coastal headlands, magical islands, characterful historic towns or mysterious lochs. To weave together the thoughtfully curated itineraries of these new small group trips, we have turned to Scotland’s finest rail journeys – familiar and less so – to take guests in relaxed style to wondrous places beyond the end of the line. McKinlay Kidd has long been guided by a simple principle: We uncover. You discover. These new fully-escorted small group tours fulfil that promise in fresh and intriguing ways every day of your trip. Your tour leader will always be on hand to regale you with fascinating stories during train journeys and day tours, assist with advice for how best to spend your free time on the trip and simply to ensure you know where to meet and when. Scotland offers some of the world’s great train journeys, beginning with the West Highland Line at the heart of our Skye, Jacobite & Loch Ness tour. Since Victorian times, it has borne savvy travellers from the vibrant, sophisticated Lowland metropolis of Glasgow into some of Scotland’s most dramatic and distinctive vistas. On the journey to Fort William, marvel at a litany of lochs, wooded hills and river-foamed gorges, plus the untrammelled Zen-like wilderness of Rannoch Moor, where cars have never ventured. Travelling back in time on the vintage Jacobite Express steam train onward to Mallaig, there is added movie stardust on the atmospheric puffer that bears wizards across the iconic Glenfinnan Viaduct to Hogwarts in the Harry Potter films, while also passing through the natural ‘sets’ for Highlander and Local Hero. But there are secret rail gems too, like the Kyle Line linking Skye to the Highland ‘capital’ Inverness – a shoreline-hugging Victorian engineering triumph where you can scan for eagles and seals from your carriage seat! The Far North Line, meanwhile, is the railroad less travelled on our North Highlands & Orkney tour, sweeping from Inverness to Caithness past salmon rivers, unspoilt coast and gentle hills in the undiscovered Flow Country. Little surpasses the thrilling clackety-clack of crossing the Forth Bridge – the Victorian engineering marvel which spans the Firth of Forth and guides your train towards Scotland’s capital, final destination for several of the tours. 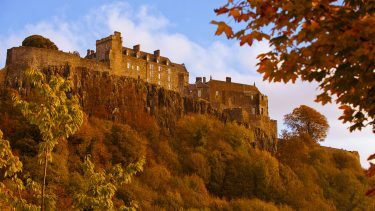 Superb castles dot the landscape of Scotland, their stones resonant with 1000 years of passion, conflict and reflection. 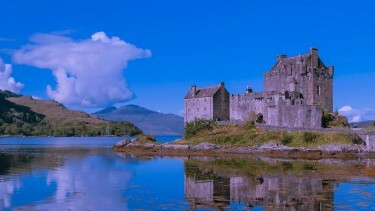 Our two Highlands, Castles and Whisky tours – Classic and Premier – lead the way to discover the imprint of William Wallace, Robert the Bruce and Mary, Queen of Scots on the Renaissance masterpiece that is Stirling Castle, plus give you the chance to search the one-time hiding place of the Scottish Crown Jewels amid the atmospheric coastal ruins of Dunottar Castle. The Premier Highlands, Castles & Whisky Tour includes a two night exclusive stay in a 19th-century Scots baronial castle, complete with dinner hosted by the Laird and Lady. 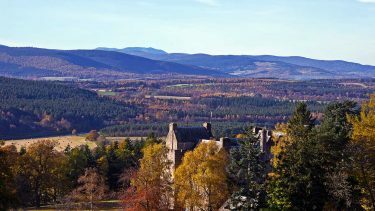 The Classic option includes time to visit Cawdor Castle to unearth the truth about Shakespeare’s Macbeth plus the chance to get a taste of eight centuries of luxurious living and extravagant characters at the ravishing Blair Castle. On the North Highlands & Orkney Tour, meanwhile, savour French chateau style by a Highland bay at elegant Dunrobin Castle. 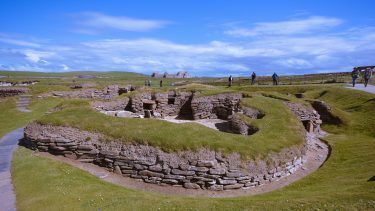 This trip brings you not just to Britain’s genuine most northerly mainland spots, but also to see the oldest human structures in Britain, from humbling houses older than the Pyramids to magnificent standing stones older than Stonehenge. While castles provide grand repositories of Scottish histories, our new small group guided tours also open up stories embedded in the lands and seas around – perhaps nowhere more powerfully than the islands of Scotland. The jagged peaks of Skye, for example, dominate an island with memories from Bonnie Prince Charlie to Victorian mountaineers (and an amazing Gurkha). Whisky is the spiritual essence of Scotland – luscious, complex, seductive. Which is why all our new small group guided tours feature the option of at least one distillery visit. But if Scotland’s uisge beatha (‘water of life’ in Gaelic) is your passion, our new small group guided Edinburgh & Speyside Whisky Experience Tour features a connoisseur’s selection drawing together several of the country’s most distinctive producers on one trip! Depending on your choice, you can visit Scotland’s oldest continuously operating distillery at Strathisla – or the country’s smallest distillery in a former farm by a rushing burn at Edradour. 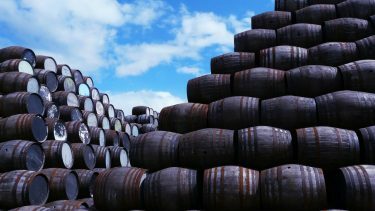 You can taste the whiskies at the heart of major global blends like Chivas Regal and Bell’s – or, on the Premier Highlands, Castles & Whisky Tour, follow in royal footsteps to the Deeside distillery whose whisky has become a continuing regal favourite since Queen Victoria first visited. Like Scotland’s array of whiskies, our new small group guided trips offer something for everyone to savour, whatever your tastes. Places on each scheduled departure are limited to a maximum of 15 so do check dates and availability and reserve your place(s) soon via the individual tour pages or give us a call on 0141 260 9260. Alternatively, if you have your own small group of six to 24, we can arrange a bespoke escorted journey to meet your exact requirements – please get in touch. 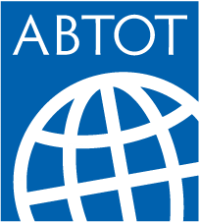 Use our handy map search to explore the destinations that we currently offer. 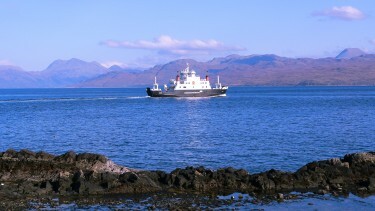 We also offer a variety of independent, self-guided holidays across Scotland, Ireland, England & Wales. Enjoy a grand tour of Scotland, Ireland England or Wales by train, all carefully planned and pre-booked for you. 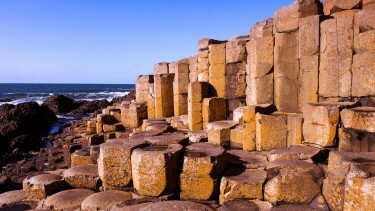 Have you been dreaming for years about a grand holiday to see the best of Scotland, Ireland or England? It could be all that fresh sea air but there’s an undeniable thrill to being surrounded by water.